And some — wrenched unwillingly and flung a world away, brimming with sorrows. Gurrong is a choral exploration of 250 years of immigration; a taste of the boundless ideas, aspirations, stories and music, compassion and welcome that infuse this ancient land. 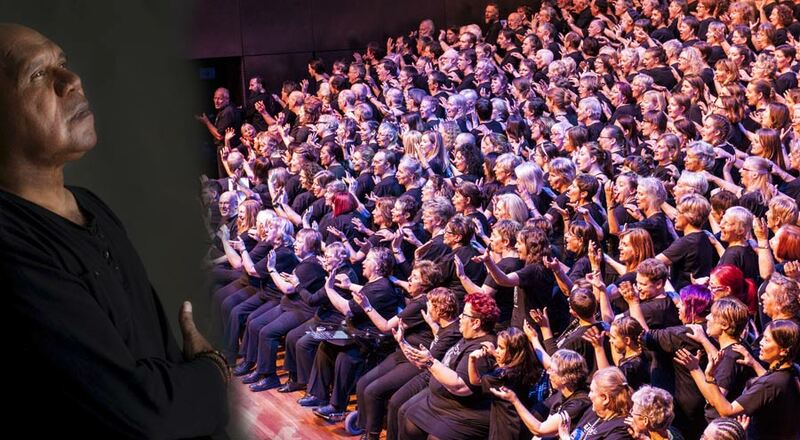 Designed and directed by Jane Thompson and James Rigby for Boite Millennium Chorus concert in 2014, these amazing local song meisters will present Gurrong with the Castlemaine chapter of the Melbourne Millennium Chorus including over 80 voices. Complemented by an outstanding band and a suite of other feature artists, this performance will move and inspire all who see it. which my heart has found its home, was simultaneously deepened and lifted. of the music selected, arranged and performed so beautifully. My faith in the future of humanity is consequently restored.